I've been wanting to try one of these bras for the longest time!! I follow and I posted on FB! Great giveaway. Gonna tweet too. I used the very nifty bra finder and wrote on their wall. I've seen a couple of different reviews for these bras and have heard nothing but good things. I hope to be able to try one soon! I'm a new follower and I posted on Moving Comfort's Facebook page. Follower, headed to FB. I love moving comfort. I tried the fitting room and posted on their Facebook wall. I would love to win. I've been wanting to try the Juno (which was one of the suggestions) but no stores in my area carry it... and I have such a hard time finding sports bras that I love, so I hate to order it not knowing if it'll be great. Winning would be awesome! I follow and posted on FB. I will share on my blog too! I love my MC bras. Great giveaway, Laima! Thanks! I am a follower!! AND I always need a new bra and that is my FAVORITE brand. I wish I could get a bra sponsor. I have no girls to support but I hope that someone with some girls wins this! I'm a follower! I really need to win - my big race is in a couple weeks and I need a new bra BADLY!! I'm not a US citizen but I appreciate what you guys are doing. Lovely community! Such a great idea! I follow and posted on FB. 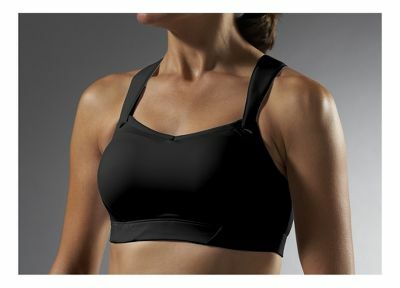 Would love to try a good fitting sports bra as I also have a hard time finding one!